The Logitech Ultimate Ears 700 in-ear headphones are the successors of the AIAIAI Y-Com in-ear headphones that I’ve used a few years. 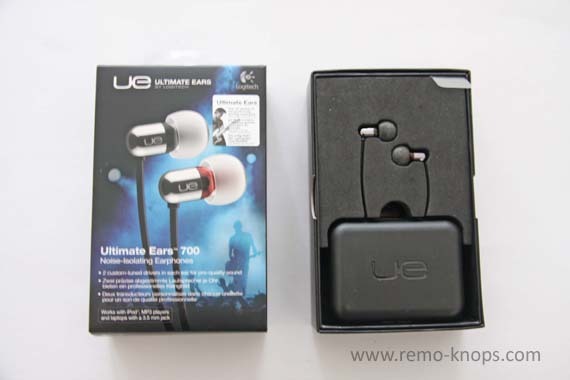 The Logitech Ultimate Ears 700 in-ear headphones come in a fancy and stylish box, with a live concert picture as the background of the front of the box. 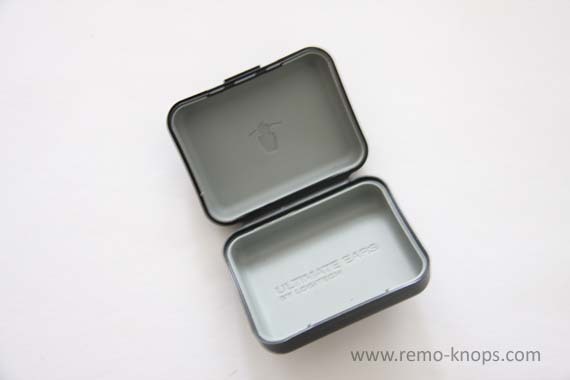 On the left side there is an overview of the ear cushions and the included protective hard case. 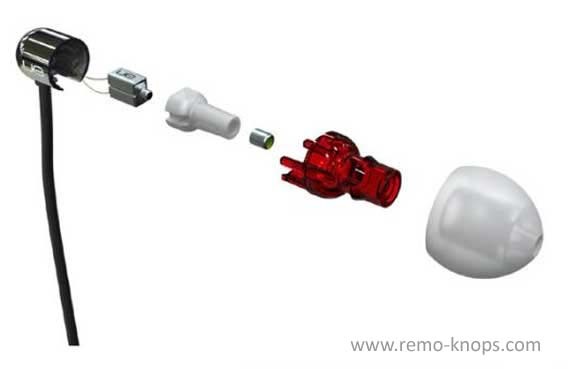 The number of silicone ear cushions is equal, but the Ultimate Ears 700 come with one extra set of comply foam tips compared to the AIAIAI Y-COM in-ear headphones. On the right side of the box you can see a number of musicians that use Ultimate Ears headphones (Seal, Lights, Ronnie Vannucci Jr. from The Killers). In addition there is some user documentation, product support and a guarantee card included with the retail box. 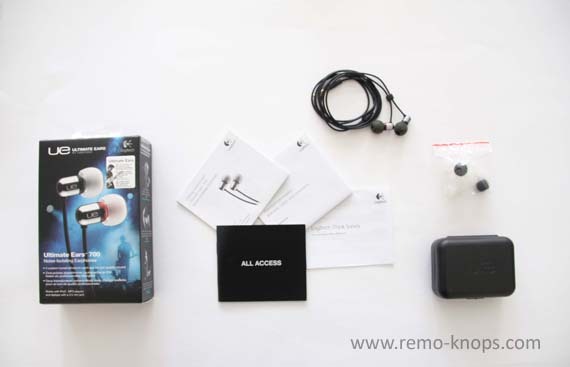 The picture above provides a complete overview of the Logitech Ultimate Ears 700 retail box (and its contents). I would like to highlight the cable length of over one meter, which is really helpful when I’m riding my road bike. When I used the Logitech Ultimate Ears 700 headphones for the first time I could directly experience the difference with other headphones that I’ve used before. The colour and warmth of the sound at really low volumes of the Zune HD was simply amazing. If you look at the exploded view and read the description above carefully, you will realize that the Logitech Ultimate Ears 700 are packed full of advanced technology and innovations in a very small form factor. In the picture above you can see how small the in-ear headphone actually is. The Logitech Ultimate Ears 700 furthermore come with a robust connector of both the cables to the left- and right in-ear headphone. 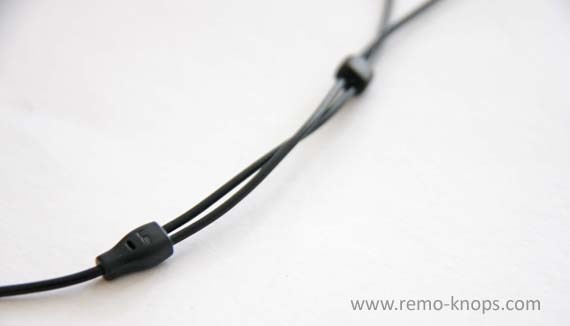 On the Y-shaped connector part you can notice the Ultimate Ears logo, which illustrates the amount of attention to details. Furthermore you can see a slider in the picture, which I slide up (towards the in-ear parts of the headphone) when I put the Logitech Ultimate Ears 700 away in the hard case. Both the ear buds don’t get tangled this way. The audio jack of the Logitech Ultimate Ears 700 headphones is 3.5 mm in diameter and has a “gold-plated” surface. I’m not really sure how much this surface will contribute to the overall clearness of the sound, but it looks nice. The Logitech Ultimate Ears 700 are my preferred in-ear headphones for more than 3/4 of a year, because of the compact, high-end design and the excellent sound quality at low volumes. Chrome finished in-ear parts give the Logitech Ultimate Ears 700 headphone a high-tech look and feel. You know there is high tech inside, when you first put in the headphones and have a detailed look at the specifications and documentation on the Logitech website. The ear cushions of the Logitech Ultimate Ears 700 furthermore provide excellent fit and ditto noise cancellation abilities. I work for a longer period of time during a commute to the office (with public transport), so I really value the noise cancellation abilities of the Logitech Ultimate Ears 700. I can use the Logitech Ultimate Ears 700 perfectly on my road bike because of the long cable and the slim form factor. The cable length is important because the Microsoft Zune HD is in one of the back pockets of the cycling jersey, while I route the cable internally through the cycling jersey. The slim form-factor of the in-ear headphones is important in the winter, because I wear a hat. In this case the hat doesn’t push on the in-ear headphones. The price point of the Logitech Ultimate Ears 700 is about € 145,- which is not very cheap. However the superb sound quality values each bit of the retail price. The Logitech Ultimate Ears 700 are build by the same engineers that build headphones for professional artists and musicians … and you will love it. 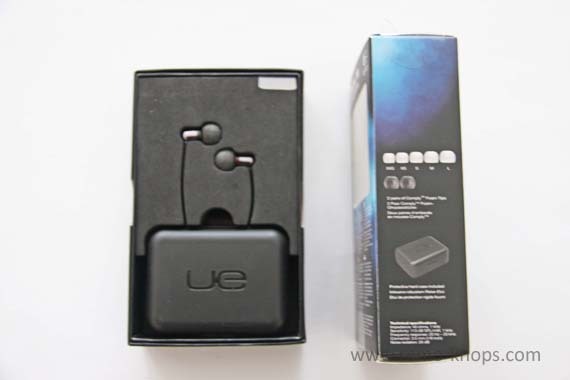 Hey!, I found this information for you: "Logitech Ultimate Ears 700 review". 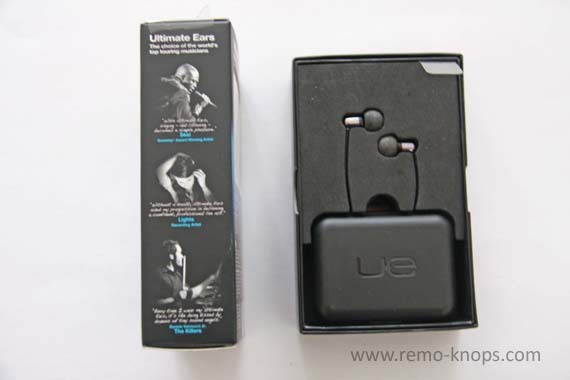 Here is the website link: https://www.remo-knops.com/3090/logitech-ultimate-ears-700-review/. Thank you.